On 16th and 17th of September on the BBC, the big names of darts (so no, it's not a BDO tournament! :P) all come together in the Champion League of Darts. 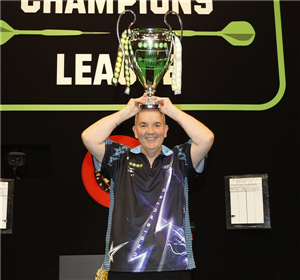 First held in 2016 and won by Phil Taylor the participants will all be after the £100,000 top prize. Taylor will be of course see this as an opportunity to defend last years win - possibly against Van Gerwen once again - in what is his final year in the sport. Last year saw Taylor crush Van Gerwen 11-5 in the final with an average of 109 per throw and while he clearly still has a lot in the tank, I'd argue that the 57 year old is on the decline and so stands less chance of winning the title this year. That's reflected in the odds, as he's currently 6-1 to win the tournament, with Gary Anderson second favourite at 5-1 and Van Gerwen favourite at 8/11. The bookies have this one about right I'd say, when you factor in a combination of current form and proven ability. The likes of Dave Chisnall and Adrian Lewis are long odds, but I'm not overly tempted in that they have gone off the boil somewhat. The set up of the competition dictates that two players go through in each group, to a knock out stage. With that in mind I'd be tempted to have a punt of Peter Wright, who at least has upped his game a lot this year (even if he himself has had a shaky couple of months). He faces the aforementioned Chisnall, Lewis (and Suljović) in his group and I can see him making it through, and beyond that who knows. At 8-1 it's worth a punt. Aside from that I'd have to go with Van Gerwen this time around at 8/11 to win the tournament. He's had some impressive averages of late and on the night has the tools and talent to lift the trophy!